I am actually going to be purchasing a new 2008 Mustang GT within the next few weeks, it is getting built from the factory. And with this I decided on creating (hopefully the first) KITT replica for the Mustang. I spoke to a guy Pierre who created the light and is from Auto Indulgence. He explained about 2 months and they will create a more affordable scanner as well as the hood that can be purchased as a combo or seperatly. He also told me the actual price for the Scanner from the TV Movie is $5900! If you wish to get in line to have the first batch (just to reserve a spot, not neccesarily buy) you can email them at sales@autoi.com Just state you are interested in purchasing the Scanner Light and or Hood and when it is available they will send you info on it! Definitely keep us posted. I may grab a GT in a year or so since it looks like T/A is dead for good and GM is using the word hybrid in the same sentence as Camaro (and the silliness doesn't stop there so I may end up a full Ford convert yet). I still need about $8,000 worth of stuff (dash, steering wheel, pods, electronics, center console and I'm having all the interior plastic pieces leather wrapped and I need my hub caps redone) for my KI2000, but I figure the Mustang will make a good grocery getter till I can start moding it. $6k for the light?!? Man, my buddy James made me my KI2K one in his garage for $50 in parts! Good thing about the new Mustang for replica owners is that all they need is a hood with the light and rims. There's nothing else to customize! I'm going for attack mode so I'll need the door thingies and headlight thingies and whatever else makes different from stock. Well lets say you start off with a standard GT theres quite abit. Apart from the hood/scanner you'll need the GT500 bumper, the GT500KR wheels and whatever spoiler that comes with the KR package. None of the above is standard on the GT. The SVT wheels (GT500KR only) don't sound like a cheap option either, plus the tyres to cover them. Can you get the GT500 bumper from suppliers? You can pretty much get anything aftermarket. My KI2K came into life a Formula (basically just the spoiler was correct, the rest was added). I figure over time more options will become available, especially if we get a show. What is your progress currently for your replica? KITT has 18" wheels so I don't know why they are selling only 20" wheels. KnightRiderKR wrote: KITT has 18" wheels so I don't know why they are selling only 20" wheels. KITT has 20" wheels as does the GT500KR. They are not 18". The site selling these rims are exactly the same as the others. I have seen the car in person and clarified it. the KITT has 20in wheels. Shelby GT-500 KR have the 18in Alcoa Wheels. the 20in Alcoa are techinally for the GT500 Supersnake, for which it has GT500 Supersnake engraved, but the SPP is selling the 20in Alcoa for regular cars that has SHELBY FORGED engraved in the rim. This thread is kinda dead. I want to bring it back to life. But I'm wondering how someone from Europe can get his hands on a Ford Mustang GT500KR? I live in Belgium and I have no idea. I've e-mailed them about the KR08 scanner and it possibly fitting into the '68 KR hood, since I'll be doing a quasi-KI3T replica with my '68 Mustang. Lord Zedd wrote: This thread is kinda dead. I want to bring it back to life. But I'm wondering how someone from Europe can get his hands on a Ford Mustang GT500KR? I live in Belgium and I have no idea. Well if u want a GT500KR should have $80,000+ in US Dollars 1st. KR are a limited production of 1500 made by Ford and Shelby. Hello everyone. I don't post on here very often but I have some tid bits for you on this topic. infact 20" SVT KR wheels The wheels that are supplied on K.I.T.T. are the 20" SVT wheels. But K.I.T.T. red with grey leather interior. But I am looking for a black on black GT with auto transmission. 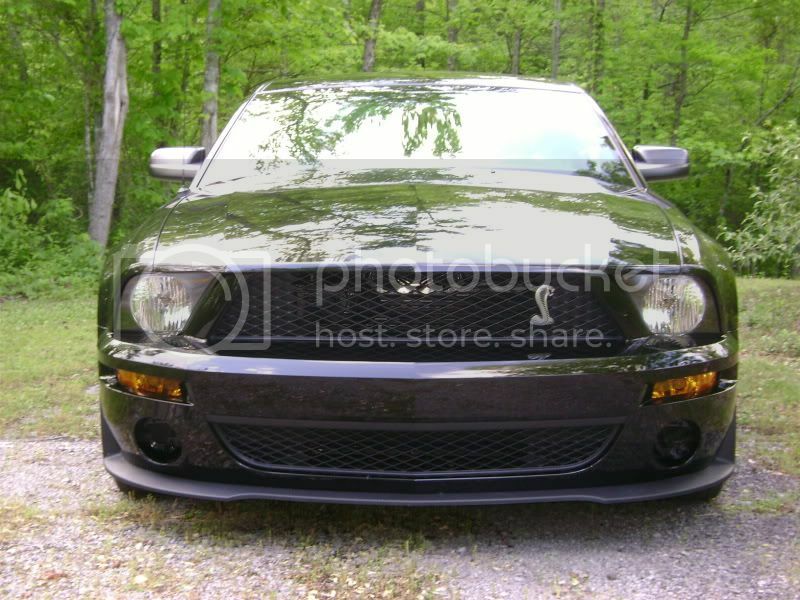 To do it the cheap and easy way you would need a 2005 - 2008 Mustang V6 or GT your choice. door inserts and then just have the middle of the seats dyed red that would be easier..
wheels I will post the link for the wheels when I find the link. You do not want to buy a base V6 or GT mustang. as for they don't come with certain options that you would want. the My Color option. My Color is where you can change the dash lights to what ever color you want. If you guys need more info just let me know.. I also own a original K.I.T.T. replica as well..
No, no, no... what GT500KR meant was that the standard 500KR comes with 18" rims... the one revealed at the auto show awhile back and KITT are the only ones that have the 20" rims... they are NOT on the production model. The GT500 and the KR both come with 18" rims. 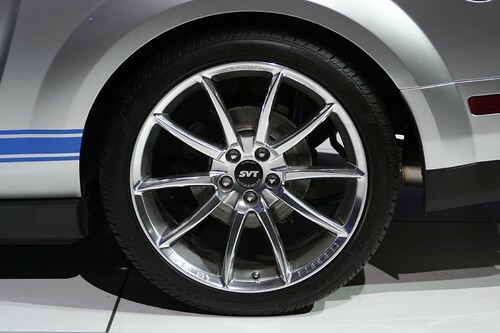 Taichi wrote: No, no, no... what GT500KR meant was that the standard 500KR comes with 18" rims... the one revealed at the auto show awhile back and KITT are the only ones that have the 20" rims... they are NOT on the production model. The GT500 and the KR both come with 18" rims. Yea that is what i meant...........KR comes with a Special Shelby Alcoa wheel and its 18in's. I know because also I looked a KR today at a Ford Dealer. On the other hand the Supersnake GT500 gets the 20in Special Shelby Alcoa wheels. When the KR was debut at the Detriot Auto Show the prototype did have 20's but i think they want to 18's because it would be a special size since like i stated before the SuperSnake willl have the 20's also the consumer can buy the 20's through Shelby Autmotives. KR is a Special car you cant buy anything off the self for or from a KR. Lets say if u damaged a rim or the hood, you have to send the damage part in to get it exchanged. ShelbyAuto's website hasnt been updated since the debut of the KR. I hope it does soon because the 2010 GT500 has been un-covered for the public. KITT does have 20's on the car. where u get the stripe kit from? Hey man thats awesome! All youll need is the wheels & youll have probably the first KI3T replica out there! Post pics when finished please! If you need to get out feelings of loss for the Original KITT then we can help! If i were u dude, get those stripes painted.